(2012.201.B0255.0149, Oklahoma Publishing Company Photography Collection, OHS). 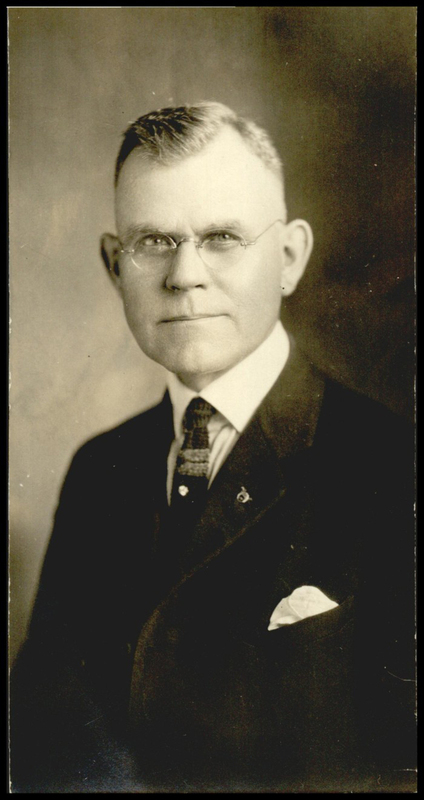 An attorney and an Oklahoma Supreme Court Justice, Robert A. Hefner, Sr., was born to William Lafayette and Sarah Jane Masters Hefner on February 7, 1874, near Lone Oak, in Hunt County, Texas. From 1896 until 1898 he attended North Texas Baptist College at Jacksboro. When the college declared bankruptcy and closed its doors, Hefner taught school before entering law school at the University of Texas in 1899. Graduating near the top of his class, he was awarded a graduate scholarship for the 1902–03 academic year. Leaving the university, Hefner opened his first law office in Beaumont, Texas, forming a partnership with Oswald S. Parker. Later, William S. Organ joined the firm, and it became Parker, Hefner, and Organ. Hefner became acquainted with southern Oklahoma as a result of representing a number of Choctaw Indians regarding their allotments. On January 1, 1908, he relocated to Ardmore, the county seat of Carter County. Quickly immersing himself in the life of the community, he served as president of the board of education from 1910 to1920, as city attorney from 1911 to1913, and as mayor from 1919 to 1927. During these years Hefner acquired land and became involved in the petroleum industry, developing an important mineral-rights document, the Hefner Form, that became a national legal practice. In 1926 Hefner was elected to a six-year term as justice of the Supreme Court of Oklahoma. He did not seek a second term in 1932. After the expiration of his term on the Supreme Court, the family remained in Oklahoma City. Hefner served as mayor of Oklahoma City from 1939 until 1947, becoming the first Oklahoma City mayor to serve more than one term. He declined to seek a third. He was inducted into the Oklahoma Hall of Fame in 1949. Hefner and Eva Maurine Johnson were married in 1906. Four children were born of the union, Robert Alexander Hefner, Jr., Louis Johnson Hefner, Margaret Evelyn Hefner, and William Johnson Hefner. Robert A. Hefner, Sr., died January 22, 1971. The family home in Oklahoma City is now the site of the Oklahoma Heritage Association. Clifford E. Trafzer, The Judge: The Life of Robert A. Hefner (Norman: University of Oklahoma Press, 1975). Von R. Creel, "Hefner, Robert Alexander," The Encyclopedia of Oklahoma History and Culture, https://www.okhistory.org/publications/enc/entry.php?entry=HE009.